Followers of Jesus live hope-inspired lives. This is not to say that we have successfully developed the habit of positive thinking or that we are optimistic by nature. In fact, hope is not a human achievement at all. Hope is a gift that comes as the result of a relationship with Jesus. The clearest example I have is from John’s gospel. On the day of Jesus’ resurrection, he appeared to his disciples. He showed them his hands and feet so they would know that he was the crucified and risen Lord. Then he breathed on them and said, “Receive the Holy Spirit” (John 20:22). With the Father, Jesus breathes the Holy Spirit into each of his disciples. He literally inspires us. The word “inspire” is derived from the Latin word inspirare, and it means “to breathe in.” “Spirit” and “breath” come from the same root in Latin (spirare), as well as in Greek (pneuma) and in Hebrew (ruach). Therefore, it is no surprise that the Bible leads us to connect the idea of the Spirit with the image of God’s breath. When we follow Jesus, we breathe in his spirit. The Holy Spirit changes our hearts, empowers us, and sustains us. “I am the vine; you are the branches. Whoever abides in me and I in him, he it is that bears much fruit, for apart from me you can do nothing” (John 15:5). When we follow Jesus, he abides in us. We draw strength, direction, and purpose from him. Jesus inspires us by giving us the Holy Spirit as a guarantee that he is already at work connecting the dots of our lives. As Paul said, “In him you also, when you heard the word of truth, the gospel of your salvation, and believed in him, were sealed with the promised Holy Spirit, who is the guarantee of our inheritance until we acquire possession of it” (Ephesians 1:13–14). Violent protests across the Muslim world have dominated the news in the past week. Responding to a video ridiculing Mohammed, Muslims in the Middle East and beyond have taken to the streets, threatened American embassies, hurled rocks and insults, and killed and wounded diplomatic personnel. These are stark reminders to us that we live in a multicultural, religiously pluralistic world. Perhaps even more challenging, people of many cultures and a variety of religious traditions call the United States home. One of the great strengths of our nation–and of our Anglican heritage–is our persistent commitment to religious tolerance. We insist on acknowledging and respecting religious beliefs different from our own. Even while we deplore the violence by mobs composed of Muslim individuals, we show due respect for individual Muslims and for their faith tradition. But note that tolerance assumes difference. A common error in our attempts to exercise tolerance involves confusing tolerance with relativism and subjectivism. Relativism says that all religions are equally true. They are all partial perspectives on the great whole that is God. Now the problem with relativism is twofold. First, consider the person who says that religious belief is relative. He or she must see the greater whole in order to say that religious believers are unwittingly seeing only slices of the whole. In other words, relativists make a claim to see a total picture and at the same time says no one else sees the total picture. This is at once condescending and contradictory. Second, to say that all religions are equally true is actually to say that none of them is true in any genuine sense. Subjectivism is an extreme case of relativism. This point of view is summed up in the oft heard phrase, “It’s true for me.” In other words, a subjective approach to religion reduces every faith to the whims and fancies of each individual and surrenders any claim to describing a larger spiritual reality. Usually, subjectivists end up admitting that they live according to a comforting and comfortable fiction. They do not know God. They cling to a practical, reassuring fable. Followers of Jesus do not claim a perfect knowledge of the mind of God. We claim friendship with Jesus because he has claimed us as friends. We are committed to following him, with the humble awareness that we will always do so imperfectly. Our commitment to Jesus does not make us morally superior and gives us no room for condescension toward or condemnation of anyone else. Jesus followers are tolerant because we are humble. We do not relinquish the truth of Jesus’ saving love when we acknowledge that others have chosen to take a different path in life. Tolerance does not require that we agree with those who are different. That just makes us the same. In fact, tolerance calls us to continue to love those who are different. As spiritual challenges go, that seems essentially Christian. Our Friend and Lord has called us to love even our enemies. And now for some news. On Thursday we will celebrate the new era of ministry at Redeemer, Ruston, with the Institution of the Rev. 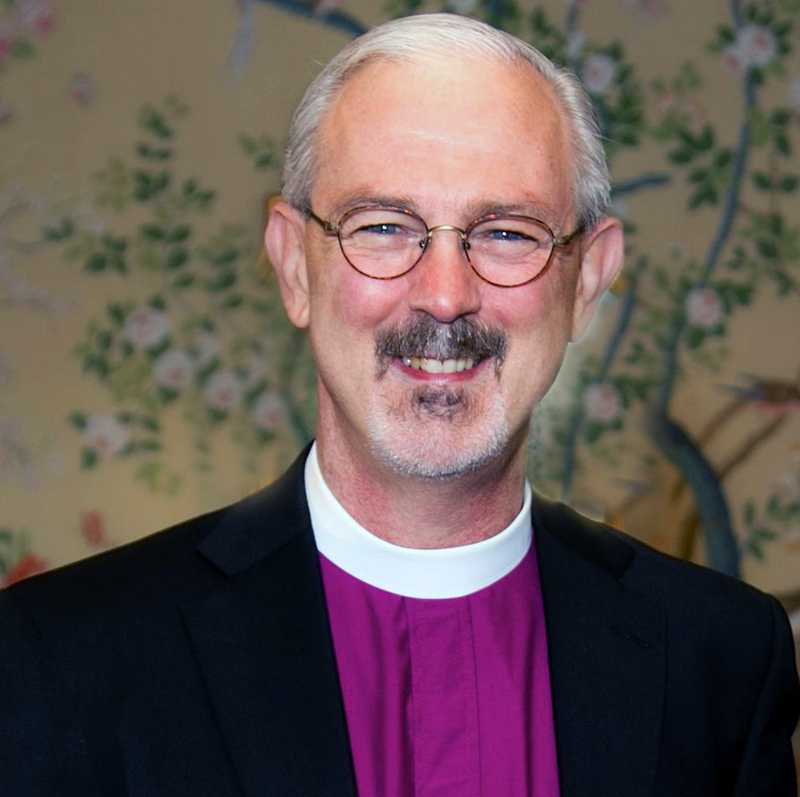 Bill Easterling as Rector at 6:00 p.m. Our color is red. This Wednesday I will be present for a book signing at St. Michael’s in Pineville at 6:00 p.m. Everyone is invited. Books will be available as a premium for donations to outreach. My next signing will be at Diocesan Convention. Just email me if you would like for me to come to your congregation for a brief talk and book signing. I would love to come! For photos of my recent visits, check out my Facebook page. If you’re on Facebook, send me a friend request. I would love to keep up with you and help you to stay connected to our Diocesan family. Remember how much Jesus loves you. It is such an honor and a joy to be your bishop! I love you with Christ’s own love. 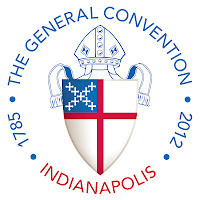 The rescheduled General Convention Follow-up Meeting is at St. Alban’s Episcopal Church at 6:00 p.m. on Tuesday, September 18, 2012 in McLean Hall. Light refreshments will be provided. Here are some reminders. Facebook friend request me to keep up with diocesan doings. Check out my blog (http://pelicananglican.blogspot.com). My audio sermons are at http://sermon.net/bishopjake. On Wednesday, September 19, I will have my first book signing at St. Michael’s, Pineville at 6:00 p.m. Connecting the Dots is available through Amazon and the online store at Barnes and Noble. I’ll have some copies for purchase at the signing. Proceeds of that signing will go the outreach ministries of St. Michael’s. I give thanks to God for all of you. As Hurricane Isaac approached, made landfall, and slowly crept its way northward, many of you prepared yourselves not only to weather the storm’s fury, but also to help those affected by rain, surge, and wind. While the territory within our Diocese was spared the most severe effects of Isaac, we did receive evacuees in several places and provided support to first responders. Here is what I find most exciting. Congregations took initiative. Camp Hardtner readied itself. We responded at the grassroots level. Yes, I did monitor the situation by checking in with Convocational Deans and spoke with Camp Director Jason Ezell. And, I connected with Disaster Relief Coordinator The Rev. Liz Ratcliff and her successor The Rev. Mitzi George, who themselves prepared to coordinate efforts. Everyone had already taken the initiative. The point is that from the ground up we were the Church in response to human needs arising from the storm. The Diocese is not located in Pineville. It is in every congregation, in each set of hands, and in every beating heart throughout Western Louisiana. And that heart is a servant’s heart. Thanks be to God! On another note, I want to share an interesting article about evangelism with you. It describes a ministry whose premise is one I share. Instead of focusing on getting people into church, let’s take church to where the people are. Click here for the article. It is such an honor to be your bishop. Remember that I love you and that my love for you is a reminder that God loves you. By God’s grace, each of us can be just that kind of reminder to someone today. You certainly are for me! Last week Canterbury@ULM met for the first time this fall. We shared pizza, elected a student president and vice-president, and talked about how we want to proceed. The students agreed that they prefer to meet on campus most of the time, but that they would occasionally like to come to St. Thomas' for something special. One student even mentioned having a barbecue to attract new members! So I was delighted to tell them that they are invited to the annual barbecue and should bring a friend they think might be interested. I'll talk about that more this week and try to give you an idea of numbers that might be coming. The Tuesday 5:30 - 6:30 meeting time we began with also looks like it will work well most of the time, so we're sticking with that. Finally, we discussed program and I'll share more about that in another post. Please feel free to visit the Canterbury@ULM blog (linked above) and sign up to receive e-mail notifications if you wish. However, if you don't want to be bothered with every communication that goes out on that blog, don't worry. I'll update you occasionally through this blog. And, BTW, I wrote something for the last newsletter and thought I sent it, but apparently didn't. I'll do better in the future!